The senate has resolved to override President Muhammadu Buhari’s veto on two bills passed by the national assembly. The bills are the constitution of the federal republic of Nigeria, 1999 (Fourth Alteration No. 28,) bill 2018 and Industrial development (Income Tax Relief) (Amendment) Bill 2018. The fourth alteration bill seeks to stipulate the time within which the president or governor will lay the appropriation bill before the national or state assembly. The industrial development amendment bill makes provision for companies that expand their operations in pioneer industry or product to apply for a new pioneer status. 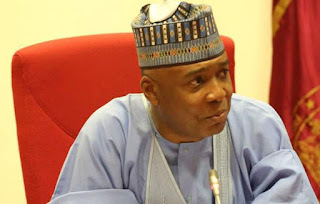 The resolution of the upper legislative chamber was sequel to the adoption of recommendations of a technical committee set up to review Buhari’s decision to decline assent to the bills on Wednesday. The president has vetoed over 30 bills passed by the national assembly since 2015. While presenting a report, David Umaru, chairman of the technical committee, said constitution gives the senate the right to override the president. To override the president, the senate would need at least two-thirds majority, which is 73 senators. The committee also recommended that the upper legislative chamber reconsider 15 bills rejected by Buhari. Some of the bills to be reconsidered are Petroleum Industry Governance Bill, 2018; National Institute for Hospitality and Tourism (Establishment) Bill, 2018; National Research and Innovation Council Bill, 2018; Stamp Duties (Amendment) Bill, 2018 and Chartered Institute of Entrepreneurship (Establishment) Bill, 2018 among others.